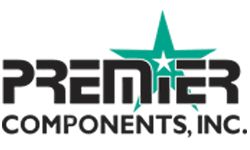 The links below provide additional information about product sizes, installation, and maintenance for various products that we supply. You will also find our Customer Credit Application. These documents are available to read or you may download them. If you don’t find information here concerning a product that we supply, please contact us at (877)-681-3064 for more information. We’re here to help! Our urethane sheets both comply with FDA sections §177.1680, & §177.2600, which means they are safe with food contact in bulk quantities. Low Profile Tapco Buckets NEW AND IMPROVED!